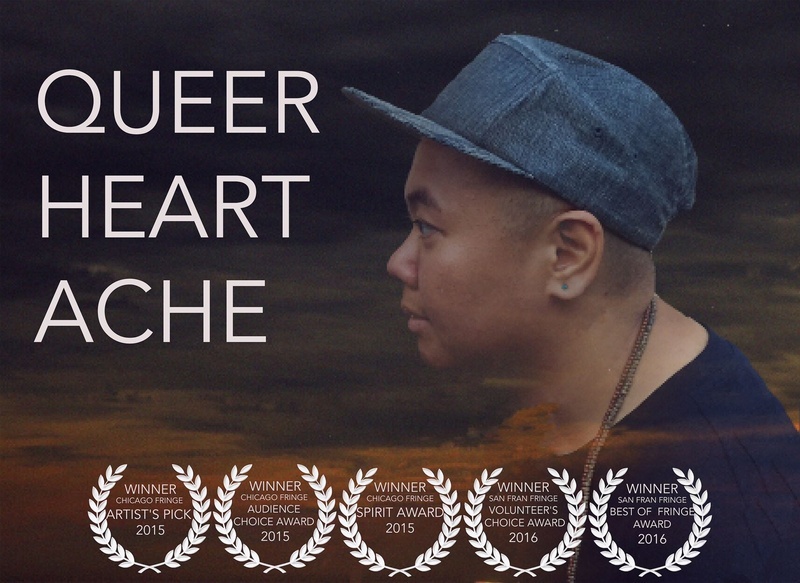 Directed by Jessi D. Hill, and performed by award-winning slam poet Kit Yan, “Queer Heartache,” attempted to explore the difficulties faced by the queer community on Feb. 9. 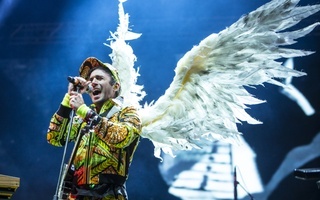 Although the excessively long and poorly executed introduction nearly thwarted the entire performance from achieving its goals, Yan himself brought an artistic and emotional performance to the stage that was incredibly tangible. As the background pop music faded and the lights dimmed, poet and artist Black Venus leaped on stage and strode to the microphone. Black Venus visibly beamed when opening the show, ready to share their experiences as a queer black person. Yet, their initial charisma soon wore off. They paused between recitations of their poetry to plug their website and social media handles, as well as old uninventive jokes in an attempt to connect with the audience. Their performance tried too hard to impress. Though the ideas still kept their overall strength, Black Venus’ distracting jokes detracted from the poetry’s impact. Continuing the show’s introduction, poet Justice Ameer entered the stage and joked with the audience. Her poetry focused on her experience as a black trans woman. As she performed, she did not seem to use the rhythm or speed of her speech to influence her presentation. She began to lose credibility when she mocked the notion that humans believe themselves responsible for climate change. The concepts behind her work—though honorable—blatantly opposed scientific fact and distracted from her account of living as a queer person. After messing up the opening line to her final poem, she jokingly stepped back, saying “I’m gonna start this again.” When she did begin, it was in a completely different voice that made the poem feel acted and planned, rather than authentic. Disregarding this slip-up, she managed to establish a poignant, powerful, and introspective persona throughout. The final opening act was by Chrysanthemum Tran, a queer and transgender Vietnamese American, who somehow managed to interweave sweat jokes with stories of gritty experiences. Tran’s performance was solid, her deep voice balanced with a rhythm and direction which more than made up for the lack thereof in the previous performances. After a few short poems, Tran invited Ameer back on stage to present a final piece. The two spoke in unison, finished each other’s sentences, and matched each other’s hand motions in perfect synchronization. Though these pieces were each executed with admirable technical accuracy, they seemed rather purposeless. The unison speech created a haunting feeling that seemed slapped on, as it did not complement the verses well. Altogether, the remaining effects simply added a new spin, which did little to enhance the meaning behind the poems themselves. However, overall, Tran and Ameer’s individual performances completed each other both technically and emotionally, which lead to a generally satisfying performance. After over an hour of introductory material and intermission, the stage lit up as Kit Yan spun around, mischievously smiled, and launched into his monologue. Yan flowed through story after story, pausing long enough to let his words make an impact, beginning with his childhood. As he spoke, he seemed to be rediscovering his own stories. Yan never resorted to yelling out his ideas, nor did he attempt to convince the audience that his point of view was necessarily right. He simply told his story and let the audience listen. During his performance, he made several physical convulsions as he spoke. Whenever he reacted, it seemed as though he were truly experiencing moments of his life all over again. The words poured out both audibly and physically. By his incredibly visceral performance, one would not be able to guess that he had performed this routine countless times before. Though he often interlaced his stories with light-hearted comedy, Yan also reached into darker depths. Recalling his father’s death, he began to physically choke in order to act out his father’s last moments. By reliving the scene himself, he brought to the stage an unparalleled power. Yan created an environment on the stage where he was merely an intermediary for the audience to experience the life of an Asian-American, queer man. He did not merely perform or present poems—he brought the depths of his life, his heart, and his emotions to life. Yan’s recitations singlehandedly rescued a show that otherwise lacked a significant display of artistic performance. His deep connection with the words he spoke resonated throughout the venue and in his audience’s hearts. Ultimately, a few promising tracks can’t save “Machineries of Joy” from mediocrity. The album opens weakly with its title track, which under-performs both in lyricism and composition. Unfortunately, the most fitting way to describe the remainder of “Machineries of Joy” is as a cliché of indie rock. The Boston Opera Collaborative’s version of George Frideric Handel’s “Rinaldo,” which ran at the Benjamin Franklin Institute of Technology March 26-29, succeeded superbly in creating a production that was compelling, well-crafted, and accessible to all. Drag is not neutral. Drag without the celebration and protection of Brown and Black Queer folks is anti-Queer, anti-Brown, and anti-Black.